Players Bar & Grill has been serving customers in Woodstock MD since March 2011 and is the best sports bar in the Ellicott City / Howard County area for watching all your favorite games on multiple TVs throughout the bar and restaurant. Players Sports Bar & Grill is the perfect place to watch your favorite football, baseball, basketball, soccer or any sporting event. The bar features 25 HD TV Big Screen TVs including a 6ft TV and with NFL Ticket you will not miss a game. Players is also a fantastic place for lunch, dinner, catered parties or enjoying live music at the bar. Players Patio Bar is also available with an additional 9 new big screen TV’s and is available to rent for catering functions. Visit our catering page for more information. 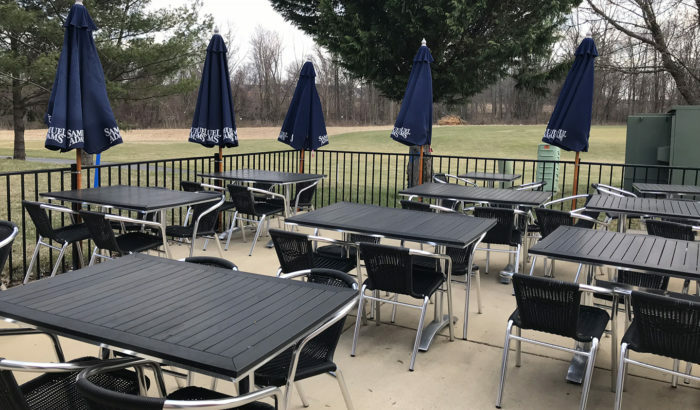 The restaurant features great weekly and daily specials and the enclosed heated deck is available year round for catering events and parties. If you are in a hurry or want to take some of their great food home make sure to call ahead and your order will be waiting for you. Players Sports Bar and Grill is convenient to Eldersburg & Sykesville in Carroll County MD, Catonsville and Woodlawn in Baltimore County Maryland and Ellicott City, Clarkesville, Columbia, Elkridge, Glenelg, Fulton, Jessup, Laurel, Marriottsville, Mount Airy, Savage, West Friendship and Woodbine in Howard County Maryland. Players is the best sports bar and restaurant in the area and is located in the Waverly Woods Shopping Center just across the street from Waverly Woods Golf Course.